Ok, so you’ve set up your WOFE and even rented a local office in China (probably Shanghai), and perhaps you’ve even hired a few employees. But now what? How do you sell, distribute and market your product or services in China? What’s the best platform, channel, or media to advertise on? As if the world isn’t changing Fast enough you have to adapt to all the social media, Google, and the self-driving car. Yet, China adds a whole new level to that. That’s right! China is different… VASTLY different. You cannot rely on what’s working here in the west because it simply won’t work in China. There are different channels, social media, and different rules and ways of doing business in China. Everyone knows about WeChat and Weibo. And every business owner wants to know how to use WeChat to market and sell their products in China. While I can admit that WeChat is huge in China and it is inevitability going to be part of your marketing strategy in China but it does not have to be your go-to channel especially if you’re new in China. There are many other channels that will help you grow your business in China. For example, recently we’ve helped one of the world’s largest senior care company to finally gain grounds in China and grow their customer base in Shenzhen China. In the beginning, we did not use WeChat at all because it was an extra cost and highly time-consuming channel to manage. 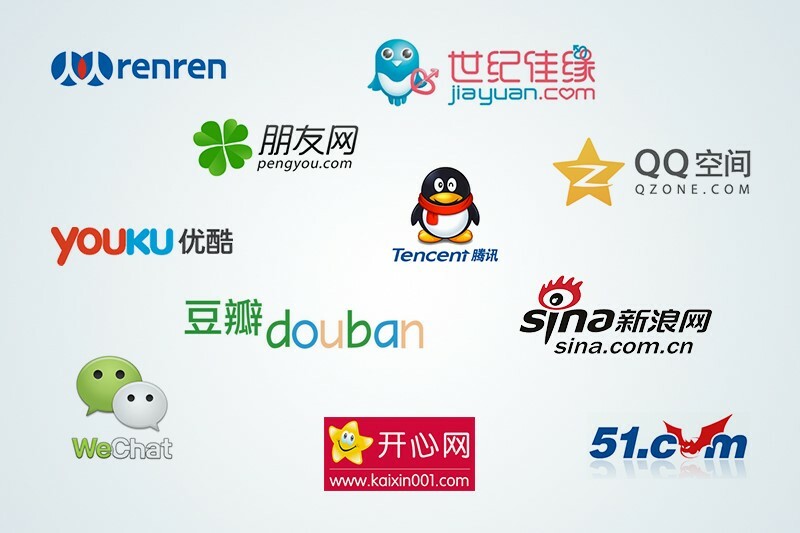 Instead, we focused on customer accusation using channels such as Toutiao, Baidu, and other smaller digital channels. It is only recently that we begin to develop a lead nurturing and customer retention strategy using WeChat and content. Don’t get me wrong WeChat is very powerful in China and eventually you’ll use it as part of your marketing but there are other popular and great social media network such as Sine Weibo (a microblogging network), Tik Tok or Douyin ( a recently super popular video social media platform kind like Snapchat), Toudou & Youku(Youtube of China), Tencent QQ (China ICQ), Toutiao (Ai News Platform), so on and so forth. Don’t fall into the trap of believing WeChat is going to be your answer to succeeding in China. I know almost every China digital marketing agency out there promotes it and I can see why because everyone who approaches us always ask for it without really understanding China. It is far better to spend some time to research and study your market in China and then figure out what channel will be the best to achieve your goal. Unlike the rest of the world that has access to Google, Facebook, Instagram, YouTube, etc. In China you’ll be advertising on completely different channels such as Baidu, Tencent Channels (Including WeChat), Sina Weibo, Toutiao, and many other smaller channels and the rules are different. For example, if you want to advertise on Baidu, there is a minimum deposit of 30,000RMB (5k USD) just to get started. You don’t have to use all 30,000 RMB in 1 month or anything but you must deposit that amount to create an account. On top of that, all advertising in China will require that you have a valid industry license and some industry has very strict rules around what advertisement you can run. For example, if you want to sell health and supplement products in China you’ll need a license for that and if you don’t have one you technically cannot legally advertise on any platform. On top of that, some platform will not allow you to create an account and the only way to advertise on that platform is to go through a partnered agency who will be your account manager and media buyer. This is why many companies choose to work with an agency rather than managing their own advertisement account. With certain channels, you can manage your own accounts but if you don’t spend enough on a monthly basis you won’t get the superior support which often will yield better results. I know that’s nuts but you literally paid for better results in China. Ok, ok, with that out of the way what channel should you start with when you’re advertising in China. There is no one right answer a lot will depend on your brand, product or service, and your industry. KOLs, What the Heck is That? Ok, so you’ve probably been researching about marketing in China and you’ve heard a lot about this KOL marketing thingy but you’re wondering what the heck is KOLs. KOL marketing in China is huge, we’ve written a very extensive article on KOL marketing you can check out here. But most business owners have the wrong idea about KOL marketing or influence marketing. They think it’s all about the younger girl and guys taking pictures of their cloth, makeup, and food!!! Sure, that is a huge part of KOL marketing as fashion, beauty, and food are an industry that is heavily influenced by celebrity and these days by social media celebrities. But the idea of Influencer or KOL marketing goes far beyond that. An Influencer or KOL is someone who is able to influence their viewers, audiences, and follow to take an action and they can be in any kind of industry. For example, Elon Musk is a huge influencer for tech and business right now, he doesn’t take pictures of shoes and food. Dr. Oz is a huge influencer on health and fitness for a lot of people in North America. Oprah Winfrey is one of the biggest influencers in the world, you may not buy the same dress Oprah is wearing but she continues to inspire people across the globe. In China KOL marketing plays a huge role, it is very common for a large brand to paid hundreds of thousands of dollars to create a single KOL campaign than to advertise on say WeChat. This is how powerful and popular KOL market is in China. The reason is it works, but you have the be careful of who you work with. Like celebrities, KOLs come in different tiers you have your mega superstars and small new KOLs. Recently Cross-Border eCommerce has become an extremely popular topic both in China and for a foreign brand who want to sell to the 1.3 billion Chinese consumers. After all, China is the has the largest group of eCommerce shoppers in the world. According to Analysis Chinese, cross-border e-commerce market will exceed 8.8 trillion RMB ($1.4 trillion USD) in market cap in 2018 around the world and China accounts for 30% of the entire cross-border e-commerce market. And on Singles Day in 2017 (a holiday created by Alibaba so that consumer will shop more online) sold over $25 billion dollars in just 1 day! That is just the sale of 1 single platform. Selling cross-border in China is not exactly simple. Most foreign brand believes that they have an awesome, amazing product (which most like not the case) but even if you do have an awesome product there are many other factors to consider. For one, having a great product is not enough. There are so many products and so much noise in China that even if you have the next iPhone chances are you probably won’t succeed without some kind of marketing plan and strategy. Fortunately, most foreign brands understand that marketing is important, especially in China and this is why we get tons of request for them. So, then what do you need to consider if you seriously want to sell your products cross-border into China. Well, first you need to consider all the legal implication of selling your product in China. While it is true that you don’t need to have a license to sell directly cross-border into China, but if you want to advertise your product in China then you do need a license. That said an alternative is to work with a trade partner that can help you distribute your product on their own TMall or JD stores. Apart from that, you’ll also want to consider stuff like logistics, platforms, distribution, consumer service, brand position, and marketing, of course, there is just way too much for me to cover here. Luckily you can read our in-depth guide on Cross Border-Commerce in China here. There you have it, this is just the tip of the iceberg and growing and scaling your business in China is an entire subject that can cover thousands of books. But if you’re serious about growing your business in China we put together a China Marketing Starter Toolbox that you can download for free here. Steve loves marketing, growth strategies, Startup and technologies. He is a co-founder of Grizzly Panda Marketing and Simplify and online platform that help. His well knows for helping business and brands around the world to scale using digital marketing strategies for the past 8+ years.